The landscaping company that takes care of the park nearby was out spraying everything yesterday. I worry about the poisons so casually flung about – particularly as my dog could get into it. I asked them what they were spraying for, and could not understand their answer in Spanish. I remembered the sounds of the vowels I heard, “or -ee -ah” and looked up the word “ant” in Spanish. Hormiga. We have lots of ants here. Millions of ants. Thousands of colonies. Their numbers are so dense that when something good is in the garbage, they will build a highway worthy of the 405 to remove the food scraps and carry it home. When it is about to rain, the ants move to higher ground, into the apartments. For us, that had the positive result of holding us to a higher standard of cleanliness. No dish lay in the sink. Dog food could not be left out for long. But apparently there were complaints. The spraying began. We recently watched the David Attenborough series about insects called “Life in the Undergrowth,” from which we learned that insects are as messed up as we are, and more similar to us than is really comfortable. 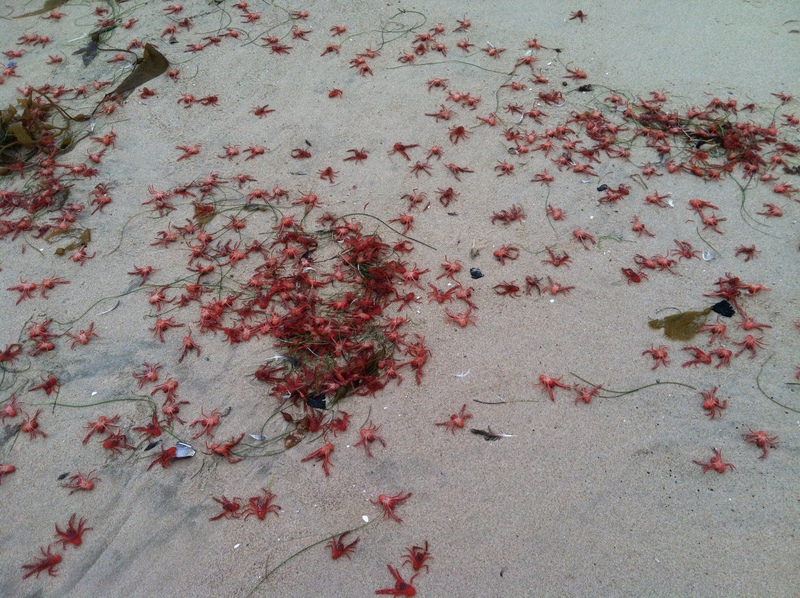 So my sympathies were for the ants when I saw the poison massacre yesterday. It’s so easy to disregard others when they do not look like you. The wholesale murder was on the scale of genocide. The ants were doing a job, that’s all. 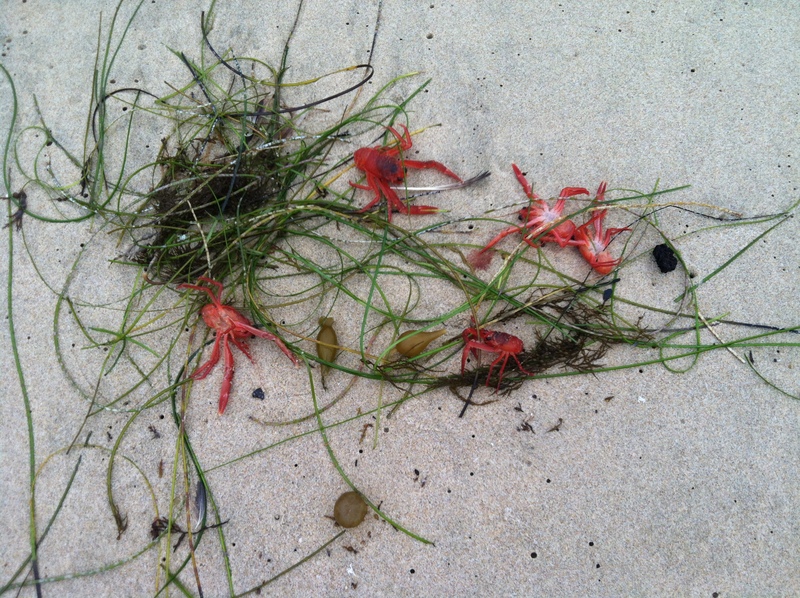 They scavenge for the food scraps too tiny for other animals to bother with. Making a living. When you consider that the war on nature is carried out also on animals that we consider “good” for arbitrary aesthetic reasons; monarch butterfly populations dropping by a staggering 90%, honeybees getting wiped out by toxic chemicals pumped out by Bayer, I start thinking it might be a good thing if we experience the 6th extinction. And soon. We don’t deserve to live here if all we can do is crush and kill and poison. I hope that when people finally wake up to the immediacy of the situation, it will not be too late for all living things on this thin-crusted, gaseous, shifty planet. I understand the complexity of assembling a team-built structure. I know that creative projects made by committee tend to be bland and flavorless. I know that some generic or generalized elements are required to be neutral enough for a broad public acceptance. I didn’t expect every home to look like an IKEA commercial. This seems to be true with the Tiny Houses I love so much to gawk at and dream about as well. They are becoming standardized. Jay made that first mini house and then everyone copied it with no real improvement to the idea. They are for sale every day. I’m glad more people are trying it, and that there are more available on the market to try. At what point is personal preference and lifestyle going to trump (ugh, I can’t use that word anymore), going to matter more than economy. And I have lost faith that sustainability is actually a valid concept. All things are meant to die and change. Ashes to ashes, eh what? Including the thin crust pizza ball we are standing on. Evolve or die. Bleak but true. Those college students disappointed me. They are the future and the future looks stodgy and backwards. Same old same old. Their logic told me everything I needed to know. The UCDavis house, for instance, was built for the purpose of, a vacation home for a well-to-do family of four, or a migrant farm worker field house for a group of ten. Huh? I don’t feel guilty about enjoying the apartment. I visit Bonita and maintain her, but right now she, and that liveaboard life, are in stasis. Austin has more room to prance and play chase the cookie. He is safe and comfortable when I go off to work. Our unit is oriented away from the direct sun and so we stay cool in the shade of the trees even on days like today when it is promising to exceed 90˚ F.
I have a beautiful kestrel house that has passed Fish & Wildlife inspection, but no kestrel. It feels like readying the nursery for baby when you are not even remotely pregnant. My work life has to stabilize before I can even consider taking on the awesome responsibility of an 86 gram meat eating bird. In the meantime, developing good habits seems a worthy goal. Meeting my In Zone heart rate every day for at least 20 minutes, taking good care of my little family group, keeping house, paying bills. I have a digital monitor for the heart rate but all of the rest of it is a bit of a crap shoot. A lone Mockingbird stays up all night in our neighborhood, rotating through a vast repertoire of learned song snippets that all sound vaguely like car alarms. Who is that bird and why is he trilling away in the dead of night? It turns out that he is not calling for a mate, nor does he have insomnia. He is engaged in a desperate protective strategy for his young, to keep them safe from nocturnal predators. Thinking about this makes me exhausted when I hear him squalling away in a nearby tree. When does he sleep? When does he breathe? I liked it better when I thought he was just lusty and calling hey baby hey. So many things about life are like that. Ignorance is bliss when you can’t handle the cold facts of struggle on the planet. When I became acquainted with some people in the oh-so-glamorous music industry and heard about how songs make it to the pop charts, I understood that every song we hear on the radio has a story behind it. Many of the stories are of struggle and heartbreak. We may be humming, but the people who birthed that song probably have scars to show for their creativity. In fact, everything around us has a history. Every effort, invention, manufactured part, “thing” – has a human story. The natural world has a parallel storyline that is rarely observed, mourned, or noted by humans. Back in my bird-centric world, I have been watching a juvenile red tail reluctantly learn how to feed itself, coached by a parent. It is harassed daily by gangs of crows and it complains piteously when not simply fed by the parent – who is intent on weaning the overgrown chick. When I don’t see the juvy for a few days I worry that it has succumbed to hunger, disease, injury, or parasites. Then I see it again and feel happy that it has survived, despite great odds against it. 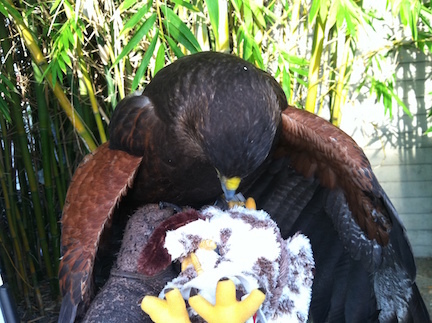 75% of red tail juveniles die before they see one year. More die during drought times. 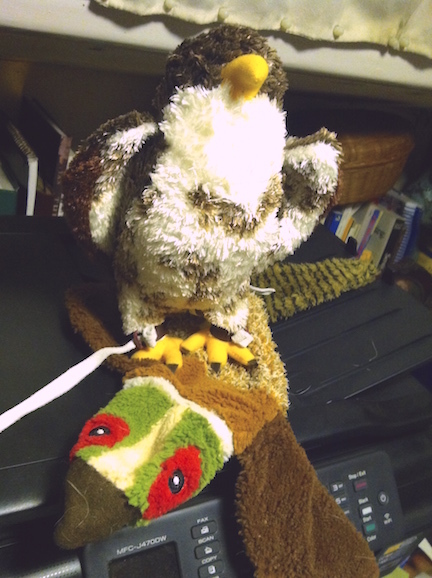 I want to rescue that bird and give him stability and health, survival strategies and knowledge of his own strengths. It is mysterious that such a basic foundation is so difficult to give and so easy to lose. I listen to that Mockingbird singing his heart out in frantic worry all night. I cannot think of a single thing I could do to help him. Pest Bird Abatement book now Available! 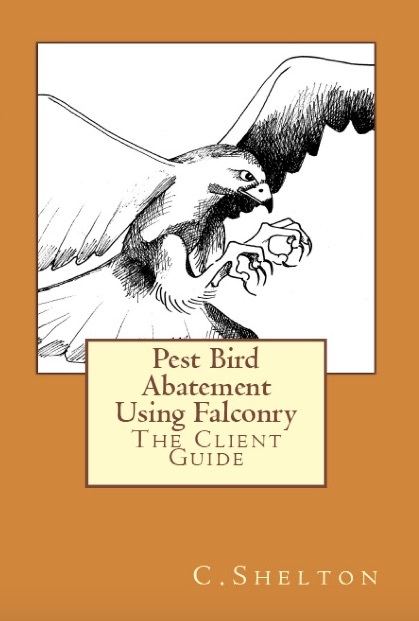 A How-To guide for managers of facilities and municipalities in need of Falconry-Based Pest Bird Abatement. Discusses the problems, expectations, and costs associated with raptor guards, as well as how the service works. Hot off the press, so to speak. to find out how to order your copy.